One sixth of 2015 has gone. 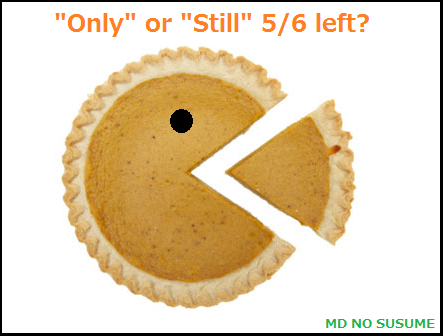 That means only 5 out of 6 pieces are left (or some positive thinkers would take it as “there are still 5 pieces left”). How were your first 2 months for you? Personally, I have to warn myself with regard to some of the resolutions I haven’t worked on well to date (like “learn to code”), because the starting point is the most motivated moment so it is hard to accelerate later on (just like running a race); and, going through a sixth of the path is enough to preview what will happen in the rest of the year, unless I change my habit to reach the resolutions. And obviously I am not alone. According to research from the University of Scranton, nearly 5 out of 10 people make new year’s resolutions, and 4 out of 10 people give up on their resolutions before February, much more will fall along the way. The point of this entry is to understand the mechanism of the habit to make your set goal come true. I have written about habit (routine) several times in my previous posts. Be it good or bad, habit has really strong influence on our life, and when it comes to bad ones, you keep doing so even if you know that you shouldn’t (social media at work, eating sweets during a diet, smoking, drinking, drug, gamble, etc.). In other words, if you understand how habit is established, maybe you can change it. 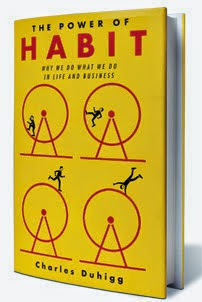 According to this book, habits―most of the choices we make each day―are not the products of well-considered decision making, and they have a pattern called “habit loop” which consists of three key points: cue, routine and reward. And once it’s established, it can not eradicated but can be replaced, as long as you change the routine while keeping cue and reward. Let me explain with my own example below. I like drinking beer (routine) but I barely thought about what the cue and reward were, so I started analyze, then came to conclude that maybe I want the moment of relief with gas, or just want to drink something (reward). Then whenever I feel like drinking beer, which is usually when I am stressed out at night (cue), I replaced beer with soda or tea, which seems to be working really well (See the graphic I made based on the idea of the book). There are a lot of research, blog and books on habit, mainly because it is significant to our lives and we still have little understanding of them. I tend to write a blog post (routine) on Saturday morning (cue) to learn, complete publication and get some feedback (reward). If I choose to write more frequently, changing the routine, I have to set another reward and cue. I think same rule applies to how I can achieve my resolutions. And as you can tell, there are many ways to make or change your habits. What are your habit loop (cue, routine and reward) and how would you like to make new one or replace for your goals? This entry was posted in Book, Lifeskills and tagged Learning, lifeskills, Personal development on March 8, 2015 by MD.